Swapping sustain blocks for aftermarket ones is a popular thing now. 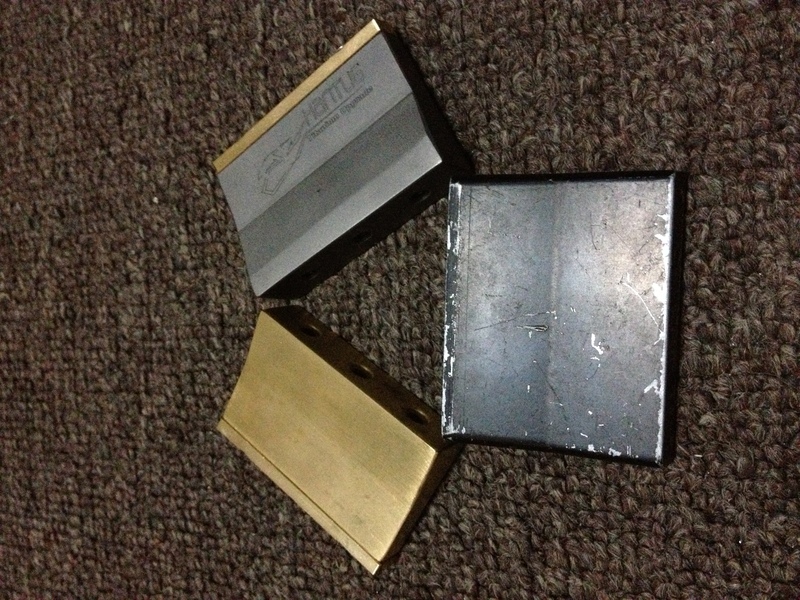 A number of companies now offer brass and titanium sustain blocks for a range of guitar bridges. Some swear by them, others call them snake oil. I’ve tested a number of brass blocks over the years and have always been impressed with the differences they can make to a guitar’s tone. I’ve always wanted to test a titanium sustain block on a floating Floyd Rose type bridge. I’ve been impressed by what the brass offerings do, but I really wanted to hear how titanium changed things. Hantug Custom Guitars once again indulged my curiosity and made a brass and titanium block to my specifications. I will write a full review of these shortly, but I wanted to get the demo up so you could hear how they affected the tone of my guitar. I am using my 1995 Ibanez RG 470, which has a basswood body, maple neck and rosewood fretboard, and an Ibanez Edge retro-fitted. This Edge is an early one with a longer sustain block than the typical Edge, so most of you can probably expect an even bigger difference if you switch to a brass or titanium block. The pickup being used is a Seymour Duncan Custom, and I’m playing through my Blackstar HT-5 head through to a Celestion Vintage 30 loaded 1×12″cabinet. I believe you can really hear a difference, especially on the basic rhythm demos. The brass and titanium blocks both give you a bit more volume. Brass gives a much fuller, warmer sounding tone, with increased harmonic content over the stock block, and titanium is a bit brighter, with more clarity. Anyway , I hope you like the demo, and that it gives you an idea of what these metals can do for your Ibanez Edge/Lo Pro Edge equipped guitars. If you are interested in a block Hantug have great prices on them. The brass option is USD$39 plus post, and the titanium will be USD$95 plus post. These are great prices for these, especially since they are milled to match the basic shape of the Edge sustain block. These will not affect your ability to dive bomb and pull up like some of the basic rectangular options other companies make. You can contact Hantug Custom guitars through the Hantug Custom Guitars face book page. One Response to "Ibanez Edge sustain block comparisons YouTube demo"
This is an interesting comparison. I haven’t seen a tone comparison like this before. Thanks for posting!